The digital age is here and while some companies have embraced it, others are still in the process of becoming digital-ready. Most businesses have understood the need to adopt cloud computing technologies or a “cloud-first” approach. This is because of the many advantages which cloud computing offers to businesses. The most important benefits are scalable infrastructure, high-level competency, cost savings, agility and business continuity and the ability to manage huge volumes of data. So, a business strategy today cannot afford to overlook the importance of cloud computing. But enterprises which are shifting to the cloud will also need to have a proper strategy in place. And to have this strategy, entrepreneurs need to get an idea of the key cloud computing trends of the 21st century and how these can affect their businesses. Research by Gartner suggests that the main trends which will affect businesses in the near future are multi clouds which are likely to become the defacto standard rather than a single cloud adoption and development of cloud strategies. So, organizations will be adopting the cloud so as to implement frameworks that can help them create centers of excellence. This will allow them to deliver services more efficiently, make optimum use of the infrastructure and get an edge over competitors. According to reports by Gartner, by the end of this year, nearly 50% of applications which are deployed in public clouds will be regarded as mission critical by businesses that own these. So, businesses will be moving their workloads to public clouds much faster to support mission-critical tasks. Likewise, the reports suggest that by the end of this decade, the cloud strategies will affect more than 50% of IT deals. With more adoption of clouds, there will more outsourcing or IT services since not all businesses have skilled technical staff to handle different aspects of cloud computing. Outsourcing will guarantee faster deployments, cost-effective migrations and expert support. Another important trend will be the emergence of multi cloud strategies rather than adoption of a single cloud. The cloud computing market is highly competitive because there are innovative offerings from various providers. So, businesses will typically choose a provider which is suited best for a specific application and choose another provider for another application. With time therefore, businesses have understood that migration to a single vendor will be risky. There may service unavailability issues and vendor lock-in concerns. So, businesses prefer an ecosystem in which there are many vendors so as to get benefits of multi cloud solutions. Another important trend that Gartner points out is that most businesses will start to reside in a hybrid environment. So, it is expected that there is going to be a key shift from a traditional data center to a hybrid environment. With growing demands for flexibility and agility, businesses will look out for customized options. In short, companies which will adopt a hybrid cloud will be able to increase their efficiency and save money. The hybrid model will be accepted as the defacto structure and this will help businesses go beyond traditional data centers and take advantage of cloud solutions across various platforms. What will be planning considerations for the companies in the future? • Businesses will first have to adopt a cloud strategy to increase long term profitability. They will need to create a road map so as to optimize workloads. Accordingly they must prepare their staff and equip them with tools and processes through proper building and planning strategies. While the public cloud is the more popular choice for new workloads, you need to consider SaaS for the non-mission critical tasks, IaaS for on-site workloads and PaaS for apps to be built either in-house or for open source services. • Businesses must appoint a cloud architect. This individual will be directing the team and look into changes in the organization structure in different areas. • It is important to deploy governance procedures in each cloud platform because if there are lapses in defining and implementing policies, it could lead to loss of data and breaches. • It is important for businesses to plan a multi vendor strategy. They must evaluate and integrate with multiple providers. • Businesses must invest in a hybrid structure. This hybrid model will help businesses to adopt cloud services properly. There should be a proper strategy for integrating security, networking and services from different cloud service providers. Using cloud managed services businesses can improve their IT management power. • Finally, businesses will have to re-evaluate their data protection plans by creating a data protection infrastructure. This will be designed not simply to eliminate risks but also to guarantee seamless data availability as requested by end users. This entry was posted in Cloud Technology and tagged Cloud Computing, cloud platform, Cloud Services, cloud solutions, cloud strategy, multi cloud solutions on February 17, 2018 by Abhishek Tiwari. Virtualization is a highly beneficial process for reducing enterprise IT costs by allowing business of every size to enhance agility and efficiency. Virtualization enables enterprises to use a single machine for running multiple operating systems as well as applications. It also helps reduce number of servers by consolidation of hardware yet achieve greater productivity. With virtualization technology there is simplification of the entire IT infrastructure and a relative reduction in cost maintenance. 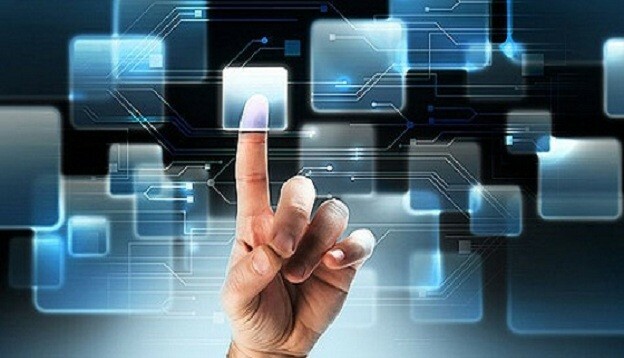 In fact virtualization can result in fifty percent reduction of total IT expenditure. Thanks to virtualization, new applications are deployed much faster than traditional environments with up to 80 percent server usage. Virtualization process spans every possible component of an enterprise IT infrastructure. Here are some of the different types of virtualization. Hardware virtualization- This type of virtualization is sought after for rapid scaling of the environment and it helps us save power usage and physical space. One can have a single server with multiple operating systems for concurrent operations withy help of hardware virtualization. Client virtualization- Client virtualization includes application virtualization, and local as well as remote desktop virtualization. Storage virtualization- It is achieved by separating a logical partition from the physical storage through virtual partitioning. There are different approaches adopted for storage virtualization including SAN- Storage Area Network, DAS- Direct Attached Storage, and NAS- Network Attached Storage. Presentation virtualization- These are also referred to as terminal services. One can access remote desktop on system via a connected network. For the same reason, these are also called as Remote Desktop Services or RDS. Virtualization and cloud environment differ in multiple aspects as virtualization is associated with physical infrastructure while a cloud environment is offered as a service. In enterprise virtualization, the initial investment may be on a higher side but can pay for itself over a longer period. Cloud services are to be paid for on the basis of subscription hence requires a continuous investment. Whenever an enterprise virtualization has to be set up, one needs to take into account specific areas, which are considered to be key areas of virtualization. One must not adopt a casual approach to virtualization because there is a possibility of getting tempted due to its multiple advantages to add virtual servers or cloud for the given application. Decision to implement virtualization must be carefully arrived at to include every single aspect of enterprise such as applications, servers, desktops, and other components of software as well as hardware. Every environment must be properly monitored including a virtualization environment. In fact, monitoring the enterprise virtualization is extremely significant due to the fact that the applications should be seamlessly available. In order to ensure high availability of applications, one must make sure that the monitoring tools are effectively used to monitor resources. This should guarantee right time execution of the application with proper provisioning of resources it requires. Desktop virtualization suffers from its own issues and should best be avoided since it is not a good practice. Although, desktop virtualization is not on its way out, it is preferable to choose server side virtualization over the virtualization of desktop. Appropriate deployment of virtual environment facilitates disaster recovery. Usually the plan of disaster recovery is not part of the enterprise IT budget. However one should design innovative ideas to make sure that major events are efficiently handled by the system. Business continuity is extremely crucial for the survival of an enterprise therefore while executing plans for enterprise virtualization it is expected that the plans are aimed at ensuring high availability of systems. Crux of virtualization lies in the fact that it runs more virtual workloads by using fewer physical systems. Management is always breathing down the neck of data center managers to ensure maximum possible utilization of available resources thereby mitigating operational costs and the overall cost of establishment. This also includes high availability and security of data center infrastructure. These are some of the common challenges being faced by data center manager in an enterprise IT infrastructure. In response to the growth of business, the IT infrastructure of an enterprise is also expected to grow in order to support growing needs of daily operations. This results in continuous addition of data storage and array of servers causing escalation in energy and maintenance costs. In such a scenario, the approach of consolidation of servers and containment enables excellent control over IT infrastructure spread as well as reduction in hardware and operating costs. Thanks to virtualization, it is possible to automate tasks by reducing required number of systems. Automated server provisioning can be executed with help of virtualized pool of resources. Enterprise virtualization is a critical area with a multitude of complexities. Virtualization of various components needs to be implemented after a careful thought process spanning entire organization. This entry was posted in Virtual Servers and tagged Cloud Server, Cloud Services, data center, virtualization on March 1, 2017 by Chhaya Jaiswal. Technical issues can cause major setbacks even to companies that are using state-of-the-art cloud hosting technologies and advanced processes. Recent incidents involving two international majors show how ill-prepared companies are when it comes to adapting backup systems. Experts state that companies can save themselves tons of trouble if they have an efficient backup system in place on premises or a cloud-based one. Are You Looking For Data Backup Systems? Businesses are not serious about using the best backup systems and strategies as they are quite convinced that the next victim of technology disaster will be anyone but them. A solid backup plan is all it takes to prevent a major disaster from hitting your business. Companies with a foolproof backup strategy that’s regularly updated can focus on their goals more intensely as they won’t have to fear a situation where they have no access to data which can affect their functioning adversely, especially in the critical customer service section. 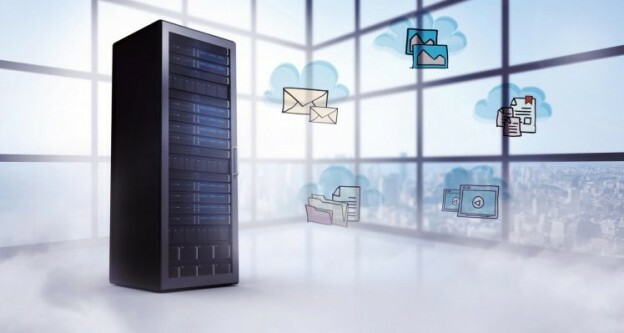 One key reason why companies do not put a good backup strategy in place is because to have an efficient backup plan they must invest significant amount of time and money. While established businesses generally have no problem with resources investment, for startups and new companies, this could pose a problem owing to limited budget and a skeletal staff that they would rather use for crucial business development tasks. Some companies opt for shortcut solutions that come cheap and promise high performance. Such solutions are highly suspect because they are not properly tested or optimized. When the data system is stretched, the backup process can fail leading to major availability and performance issues that can deliver a telling blow to your reputation. 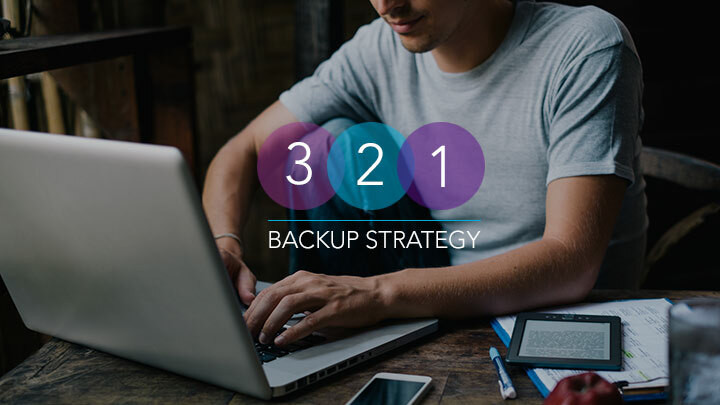 Choosing the right backup strategy for your business is not easy unless you plan it properly in consultation with an expert. You will have to first decide which information needs to be backed up on top priority and which need not be secured. No organization will need all their information on demand in the backup system. It is important to note that data storage is an expensive process. Prioritization is necessary to make sure that you don’t spend your limited financial resources on storing data that is not of critical importance. Only mission-critical files and applications that your organization needs regularly must be included in the backup system and considered for regular update. You will also have to choose the right storage method. In fact, you will have to assign the backup process to a qualified IT professional who can be in charge of monitoring and testing the system on a regular basis. If the data you are handling is of a sensitive nature, you must ensure that the best backup and storage technology is used to ensure its safety. While choosing a cloud backup system, you must pay close attention to the location as this could prove to be an important factor. On-premises deployment is recommended if you want your critical information to remain closer to your organization. You can choose from DAS and NAS storage solutions. DAS stands for direct attached storage while NAS expands to network attached storage. They are advanced form of storage systems that are designed to withstand power outages, and disasters such as flood and fire. You can also consider building a fully-equipped cloud from the ground up by buying the necessary hardware and components or choose the service of a private cloud hosting provider to provide high-quality storage solutions that can keep data protected from disasters. You can also store your data offline by using magnetic tape, DVDs or discs. Physical media is safe and remains unaffected by outages or system failures but there is a major drawback. If there is a failure, getting the system back on feet can be a long-drawn process. Cloud computing is gaining in popularity with many companies are choosing this reliable route to secure their data backup process. If you too are considering backup solutions, make sure you consult an IT expert to know which option best suits your business data protection needs. Some providers incorporate their own software on top-ranked generic cloud services such as Google and Amazon. This leads to a situation in which they can enjoy redundancy-related benefits of redundancy but do not have the ability to control the situation or shoot down troublesome issues. Another option is to use the services of providers that leverage their own purpose-built cloud data centers and allow companies to make their choice of backup hardware. In such an arrangement, the provider is responsible for maintenance, uptime and backup tasks. You can also consider using the services of providers with their own their hardware powered by third-party software for data management during backups. This is a popular arrangement that’s extremely reliable and used by many companies. Lack of customization options is a downside. This entry was posted in Cloud Hosting and tagged Cloud Backup, cloud hosting, Cloud Services, cloud storage on November 30, 2016 by Rohit Paul. Every organization structures a strategy with an obvious objective in mind – to drive profit-margins by making proficient use of technologies that they have invested in. Spotting a faster pace of innovation in the cloud technology, many leading companies are now planning a move to grow their revenues, make smarter decisions, help their end-users’ achieve goals, and build a line of products or services that prudently satiate requisite demands at far greater speed and lower cost than ever before. At the outset, applications delivered as a service include – databases, custom programming tools, data, and middleware. As applications, cloud infrastructure services are following the same footprints that include servers, storage, and networking. The Infrastructure as a Service model of cloud allows clients to leverage a smorgasbord of benefits including economies of scale and enhanced productivity. However, the present business economics isn’t flexible enough to power up the demands of all organizations planning to invest in the cloud. One-size doesn’t fit all. There is a host of applications that are not written as per the cloud ecosystem and will not be able to cater to the regulatory and performance demands. This thought scares many businesses considering cloud hosting services. Another cadre of companies is in a dilemma to understand how to foster their existing IT infrastructure and applications while embracing the cloud technology. Clients considering cloud technology to leverage the scalability of built-in cloud applications may also need to customize IT deployment services for their mission-critical workloads (that continue to operate in corporate data center facilities), hassle-free configuration and network connectivity across different environments to manage their operations. It is important that cloud IaaS benefactors should design and balance their offerings in such a way that it backs heterogeneous needs of the clients across different domains, or be ready to face the chances of being left out. The benefits of cloud are quite pertinent, such as usage-based consumption model, elasticity, on-demand resource provisioning, and premium bandwidth connectivity. However, cloud Infrastructure as a Service is not only limited to computing resources. It is important that a cloud service provider’s facility should be underpinned with a trail of custom-tools and services, including databases, and identity and management services, so that businesses can quickly transform and grow through such offerings. Another compelling benefit of offering such services allows businesses to cut back costs and intricacies associated with the procurement and management of operational resources required to run business workloads. 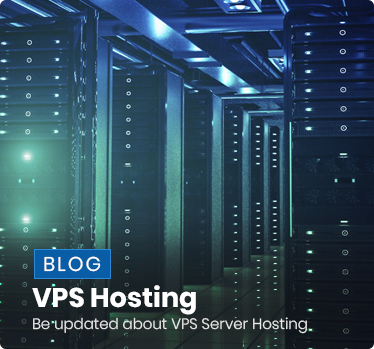 More to add, businesses that do not want to encounter certain complications of a multi-tenant environment (processor, RAM, and network resources are shared on a host server) wherein performance issues can arise if two VMs on the same host node encounter peak traffic demands at the same time. In this scenario, such companies should team up with a cloud IaaS provider that offers dedicated servers coupled with all cloud benefits on a pay-per-use cloud consumption model. Businesses are increasingly showing confidence in hybrid cloud model to maintain core workloads in on premise data center facilities owing to a host of reasons, including the sensitivity of data and rest on the public cloud to leverage better elasticity and boost collaboration. To meet this demand, providers should opt for multilevel approach and have high-end hardware, software, and networking platform to manage workload requirement of businesses. Besides, businesses should look for IaaS vendor who can proficiently replicate their application ecosystem and virtualized workloads within the public cloud hosting ecosystem. This, in turn, will provide businesses an access to the hybrid platform, allowing them to cater to multiple objectives. There is no denying the fact that public cloud computing allows businesses to gain agility and capitalize on new market opportunities. Still, many forward-looking leaders are reluctant to move their complete IT ecosystem to the cloud. They look forward to a hybrid model that can help them leverage cloud benefits, however in a hybrid model, allowing them to manage workloads both on cloud and on-premises. The service provider should offer a portfolio of cloud-enabled services to businesses, so that they can run and manage their applications the way they wish to. The best cloud infrastructure service providers should embrace the hybrid cloud ecosystem to meet the heterogeneous IT scenarios in a performance-driven environment. This entry was posted in Cloud Hosting and tagged cloud hosting, Cloud Model, Cloud Services, Cloud Services Provider, data center, Hybrid Cloud on September 22, 2016 by Taiba Fatima. Cloud has covered a long way helping businesses to embark in an era of digital development with a goal to support the dynamically changing business landscape. Indeed, shifting interest of businesses to cloud has created ripples in the hyper-connected world, as it boasts some inimitable attributes and costs only a fraction of other competing computing technologies. With great cloud computing power, information storage capacity, smooth workflow capabilities, and disaster recovery solutions to protect businesses from incalculable sufferings, cloud has gone mainstream. If we turn back the time, we can easily make out the difference between yesterday and today’s business, speed would come out as the biggest differentiating factor. Be it software development cycle, product lifespan, or market challenges – everything has got compressed. Well, determining which cloud provider in India is competent to match your strategic business requests and can cut the mustard is not an easy undertaking. The cloud computing industry is still evolving, and new service providers are appearing, offering a smorgasbord of services, such as public cloud, private cloud, hybrid cloud, cloud CDN, and cloud storage solutions. Have you begun your cloud journey? Inarguably, cloud bestows a swathe of benefits to industries, and the IT sector is no different. Every business follows its own roadmap to bring cloud solutions onboard. It fuels the need for businesses to fathom where exactly they are in the cloud adoption roadmap and where they wish to be 2-3 years down the line. A plethora of organizations both startups and giants are migrating only a few processes to cloud in a quest to evaluate the cloud’s competencies. They are stepping in with pragmatism to ensure how cloud can add value to their business operations. Another tier of companies that were successful in clearing the air pertaining to cloud’s potential are integrating cloud solutions to leverage agility, resiliency, and economies of scale. Rest of the organizations that have adopted cloud way back to augment their operational efficiency and slash down capital expenses are focusing on how cloud can help them to grow and outflank their counterparts. No matter where you are in your cloud journey, you are required to put your efforts and keep all your senses open when selecting a cloud service benefactor that explicitly aligns with your priorities and goals. Before you get started, you need to comprehend where you are at present and where you want to be over next two to three years. To put it simply, be clear about your business objectives and aim for making cloud a part of your business journey. Typically, all the cloud service providers offer access to a large pool of computing resources over the network in an exchange of monthly/flexible subscription charges. However, this does not imply that all clouds are created equally and every service provider is on the same page. Remember, one size does not fit for all. The major strategy for most of the cloud vendors is to make their operations more and more scalable, so that they can drive their profit motives. To put it simply, their prime objective is to bring more clients on board to benefit from the economies of scale. And, to achieve the desired level of scalability, they are getting engaged with stock keeping unit (SKU), allowing customers to pick from the list. The service providers going by this approach derive scale and great profit margins by pricing their services competitively. Moving ahead, experts suggest that knowing your provider’s strengths and weaknesses means half of the battle own. And, yes, this is quite relevant in today’s business environment. See if the stock keeping units offered by your preferred vendor are capable of sustaining the rapid growth in performance. If your evaluation comes out favoring the same and they are capable of anticipating current and futuristic requirements, then you can step in with this cloud approach. And, if not, do not waste time making adjustments, rather seek other service providers. The providers that are SKU based business model will not be making modifications so swiftly. Also, you might have to compromise on several grounds such as performance, agility, and cost savings. As options are unlimited, you just need to concentrate on two things – what you want and where you want to be. That’s it! Certainly, reliability matters a lot when competition is so high, missteps can bring Doomsday for your business. Today, every business needs to be fast. Select a provider that offers unmatched network uptime, ensures lowest latency, and has well-documented disaster recovery strategies and business continuity plans in place, to keep your business assets, data, and applications away from attacks. Evaluate the security approach, processes, procedures, and regulatory and compliance needs. Evaluate the disaster recovery plans and redundancy. Furthermore, today most of the cloud hosting providers in India offer self-service cloud solutions that can be scaled up and scaled down in the most hassle-free manner. This self-service model proves ideal for developers, web server farms, and for those seeking on-demand resources, but not for those, who lack internal resources and seeking to employ hybrid cloud model as most of the self-service based vendors lack capabilities to hybrid workloads. 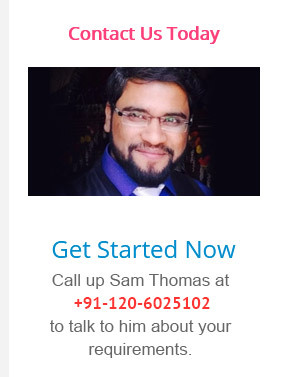 This entry was posted in Cloud Hosting and tagged cloud hosting, cloud hosting India, Cloud Hosting Providers, Cloud Services on June 24, 2016 by Taiba Fatima. 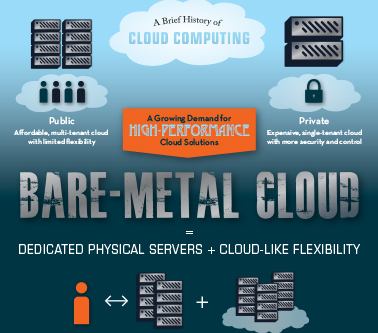 Is the World Turning Towards Bare Metal Cloud? I was perturbed when someone questioned me – Is virtualized server infrastructure requisite for cloud platform? For me, cloud is nothing without virtualization. It’s interesting to note that the answer is NO. A recent report published by National Institute of Standards and Technology (NIST) illustrates – on-demand resource provisioning, resource pooling, pay-per-use billing approach, broad network access, and elasticity as the indubitable cloud characteristics, but did not talk about virtualization. It was a surprising fact that has come to light, which has further raised a question to re-examine if virtualized architecture an essential component for providing flexibility and scalability with respect to cloud. Why Businesses Are Showing Inclination Towards Bare Metal? In the recent years, virtualized infrastructure has remarkably drawn attention of IT administrators owing to its metered billing, simplicity-to-use, and broad network accessibility. It has allowed them to cutback overhead expenses and embrace new technology innovations. Fostered by virtualization, automation and orchestration, cloud has succeeded to meet the exceeding demands of organizations. However, new alternatives have arrived in the cloud era to cater to the requirements of high-end applications. Technically, a hypervisor plays a pivotal role in ensuring the flexibility and computing capabilities imperative for smooth functioning of virtual machines on an individual physical server. However, it also mounts extra processing overhead that affects performance of the application(s).This generally do not impact all the applications, but the one that demands higher levels of data throughput certainly witnesses performance snags. When multiple virtual machines start consuming more and more computing resources, it obstructs work functioning thereby leading to an inefficient utilization of IT resources. Here comes a solution …. Over the period of time bare-metal cloud hosting services have gained noticeable improvements over virtualized IaaS in concord to affordability, and efficiency. Not only bare metal servers provide flexibility and scalability similar to the virtualized infrastructure, but also meet performance and consistency expectations. Moving ahead, to test the potential of bare metals, a series of benchmark tests have been performed by the leading organizations. Interestingly, all the upshots favor bare metals just because of its greater CPU, RAM, storage, and internal network performance. The bare metal cloud has emerged as a substitute to aid virtualized services to wipe off overhead of virtualization that too without interfering with the flexibility, scalability and other advantageous aspects that cloud has to offer. 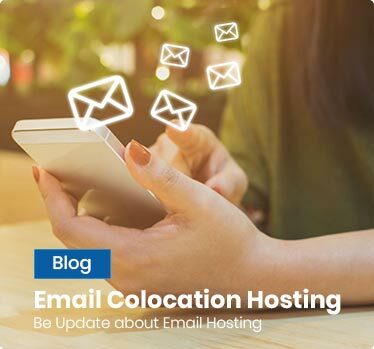 Do not confuse yourself with bare-metal cloud and dedicated instances, which can be a part of a multi-tenant setup; and bare-metal servers or dedicated servers that may also connote to a managed hosting service which includes fixed architectures and long term contracts. 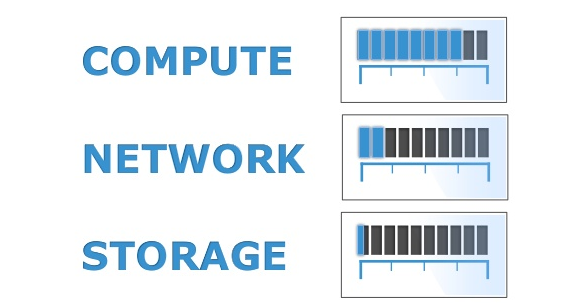 A bare metal cloud model promotes on-demand usage and is based on hourly billing with physical hardware. First point, bare metals do not work on hypervisor technology, however, the services can be provisioned through a cloud service model. This perfectly maintains the two major aspects – elasticity and automation of the virtualized cloud that is similar to the performance of a dedicated server. Secondly, the hardware is completely dedicated to meet the requirements of a single business or individual. Third and the most important point, these servers can be swiftly provisioned and discontinued through an API or self-service portal. This in turn, provides businesses an access to high-end Dedicated Servers on demand. These avant-garde servers are capable of satisfying larger workload requirements when compared to similar, multiple sized virtual machines. With bare metal restoration process is no more a herculean tasks. It is easy to copy server configuration in a simple way, which actually is an intricate task in case of typical dedicated servers. Bare metal cloud is an extremely good option as it enables businesses to spin up/ down servers and add resources to meet their workload requirements on an hourly usage-based billing model. Moreover, it provides flexibility of public cloud, however in a completely dedicated and high-performance environment. This entry was posted in Cloud Technology, Dedicated Server and tagged Bare Metal Cloud, Cloud, Cloud Services, dedicated server on December 9, 2015 by Abhay Singh.